Mercedes backed up their emphatic victory in Australia with another one-two. 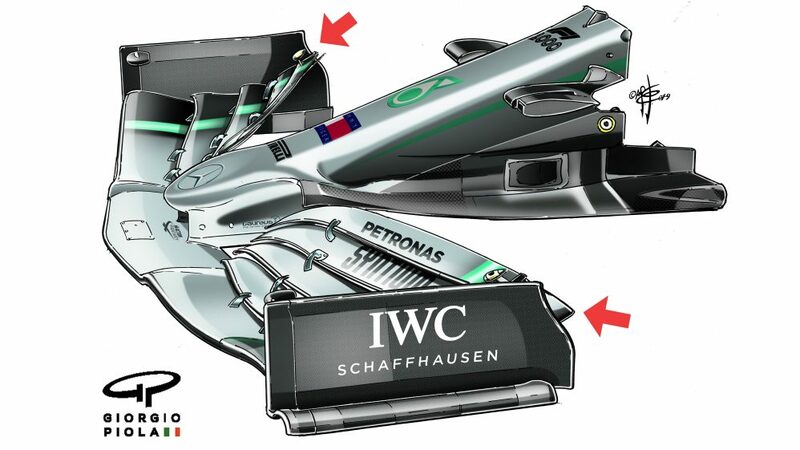 Advantage Silver Arrows? Hardly – Hamilton inherited the lead when Leclerc suffered mechanical issues, with Bottas squeezing past the ailing Ferrari a few laps later. However, they did seem closer to the Italian cars on pace than they had all weekend, with Hamilton passing Vettel on merit. So in what looks to be a season-long battle for manufacturer supremacy, Mercedes have ‘stolen’ what could be a vital race from their rivals. "It was very tricky out there today and I had to give it everything I had. We were very, very lucky to get this 1-2, Ferrari outperformed us all weekend. Ultimately you want to have a real fight and want to pass someone because you're quicker, so it feels a bit weird and you can't quite believe your luck in these scenarios. I have been in similar situations and I know how it feels, but Charles did a great job all weekend long and has a beautiful, bright future ahead of him. We've only had two races; one where we were rapid and far ahead, one where Ferrari had the upper hand. It's hard to say how the next races are going to pan out, but I anticipate that it will be a tough fight and that it will be a back and forth between the two teams. We need to keep working hard to see where we went wrong this weekend and to see where we can improve the car. But as we saw again today, reliability also plays an important role, so we need to keep working on all areas. We'll take the points we got today and move forward to China." "This was not an easy race, the car was very difficult to drive and the conditions were very tricky with the gusty winds today which made the car very unpredictable. I had a good start and managed to get to P2, but in the next lap the wind caught me up going into Turn 1, so I lost the position again and ultimately fell back to fourth after a battle with Lewis. After that it was actually a relatively lonely race for me at points, I didn't see anybody; but I think it was probably very exciting from the outside with many unexpected moments. Ferrari were very strong again in the race as they were all weekend. But luck was on our side today, which was a welcome change for me personally after all the bad luck I experienced last year. On the other hand our car was very reliable which ultimately won us the race today. It was a tough race for Charles, but he did a great job all weekend and I'm sure his time will come. We're leaving Bahrain with lots of points but also a lot of work to do for China." "Charles was very unfortunate today; he was the quickest guy out there and should've won the race. But on the other side that's racing; sometimes you are lucky, sometimes you are unlucky - in my experience it all weighs out in the end. 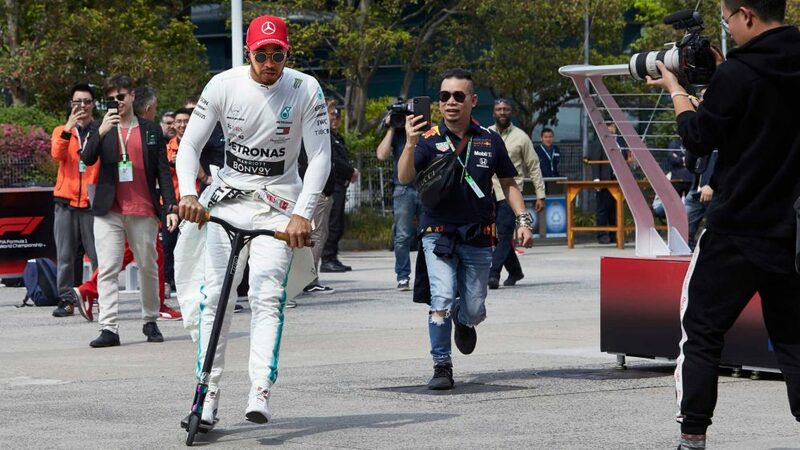 Lewis drove a strong race today. 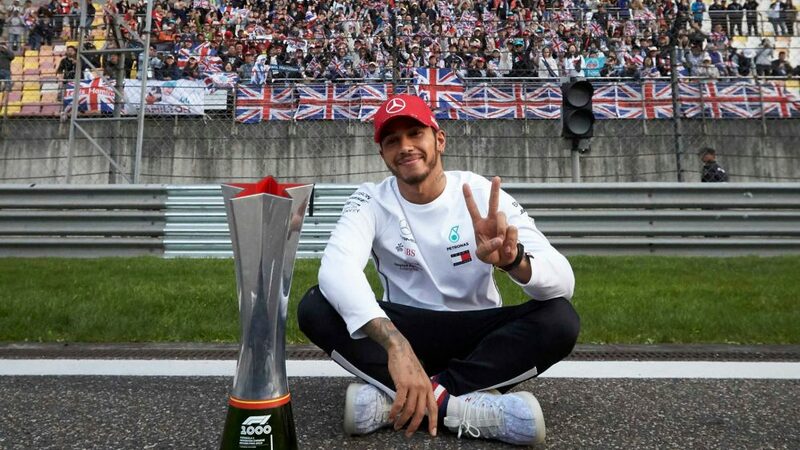 He fought a fight with a weapon that maybe wasn't on his opponents' level, but he managed to stay close to Vettel and win that battle on track, which was one of the key moments for the victory. Valtteri had a tougher day in the office, he was struggling with the tyres on the very abrasive asphalt here in Bahrain. We're walking away with 43 points from this weekend, but it is clear that we were very fortunate today and that it was our reliability, not our pace that won us the race. We are lacking straight line speed which is very important in China. So we need to stick our heads together and analyse why we were struggling with our pace both in qualifying and in the race. It's a very close fight and we need to make sure to bring our A game in order to be competitive in Shanghai." "We're delighted with the 1-2 today but well aware that we didn't have the fastest car this weekend and we've got some work to do to catch Ferrari. We've lacked a bit of rear grip and a bit of straight line speed this weekend and this made qualifying and the race difficult. 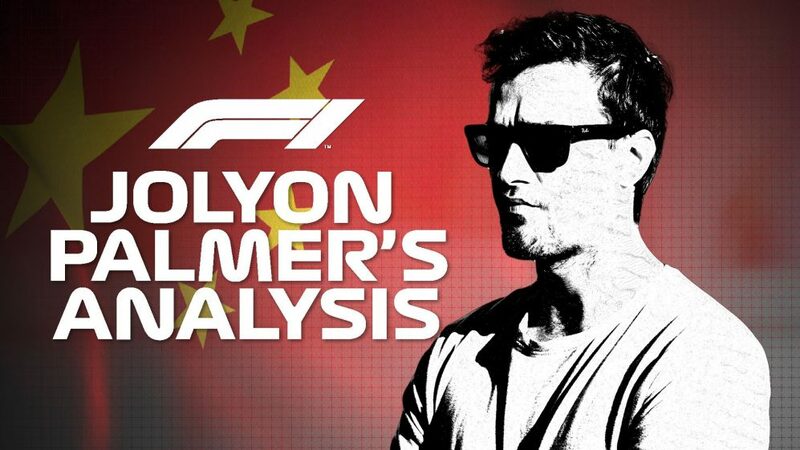 We've got some developments to try at the test here that should help our speed in the corners; it would be nice in China if we can rely on our pace to get the win rather than good fortune. However, the team did work really well today under a lot of pressure our car has been perfectly reliable here all week which is great to see. It was really unfortunate for Charles today, he has impressed everyone with his speed and composure, so to lose the win through no fault of his own must be tough, but it looks like he won't have to wait long for the next opportunity." Leclerc lost out at the start, as he struggled for grip off the line. The youngster didn’t lose his cool, biding his time before overtaking Bottas and then Vettel for the lead. He proceeded to drive off into the distance, victory assured before late drama in the form of a malfunctioning power unit cost him speed, time, and ultimately two places. Vettel likewise looked to have P2 sewn up but came under pressure from Hamilton. When the Mercedes man pounced, Vettel lit up his back tyres in defense, spinning by himself before losing his front wing due to the tyre vibrations. He did well to recover to fifth in a chastening evening. Verstappen struggled for pace on the soft tyre yet again, coming under pressure from Sainz. Those two collided in a racing incident, the Dutchman fortunate to escape without damage. 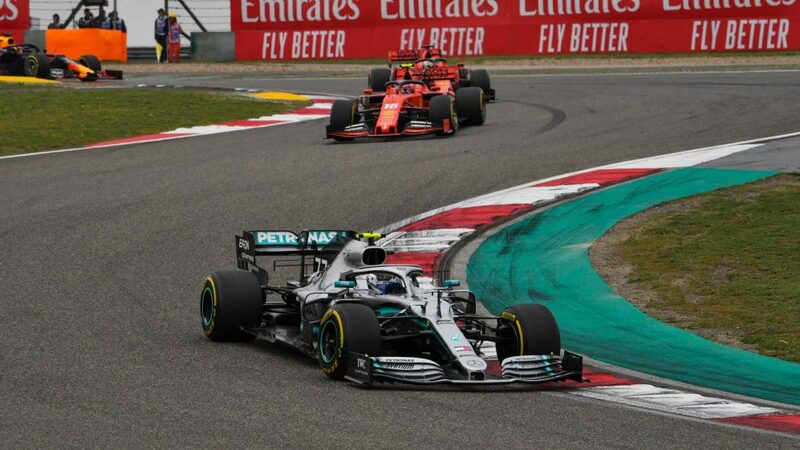 After a lonely race, he started to hunt down the stricken Leclerc before the safety car ruined his chances of snatching a podium. Gasly kept out of trouble in the midfield, profiting from the mistakes of others to work his way into the points. The mysterious case of the Renault double DNF. Not the latest best-selling crime novel, but rather the story of how both cars retired on the same lap, at the same place, a handful of seconds apart with what seemed to be independent issues. 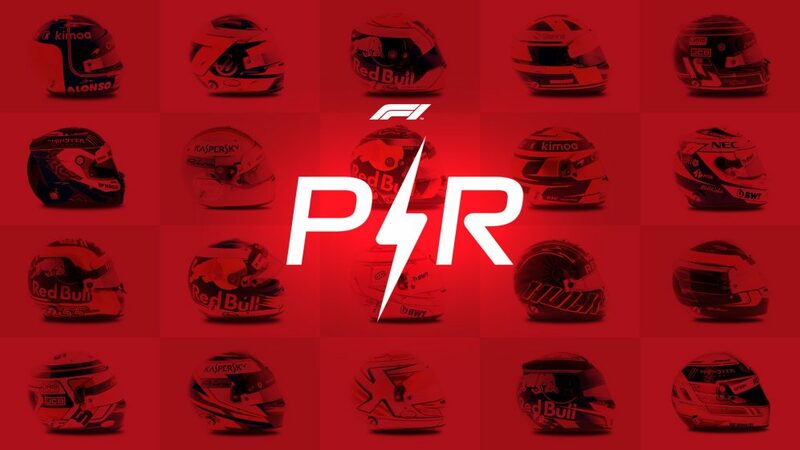 Up until then it had been going well – Hulkenberg had made up six places at the start and was running what proved to be the better two-stop strategy to be best of the rest in P6. Ricciardo’s one-stopper wasn’t going as well but the Aussie was still in the points... Until he wasn’t. Renault might have ceded the midfield advantage, but that is the least of their problems tonight. Sainz had a great start, and looked full of running. 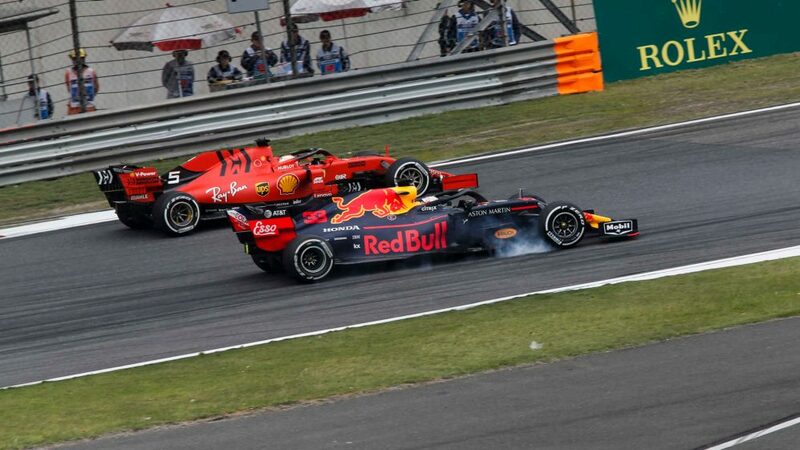 He harried Verstappen ahead, and passed the Dutchman, before the Red Bull man turned in and they collided. The stewards called it a racing incident, and replays showed Sainz probably didn’t leave his former team mate quite enough room. Nonetheless, a broken front wing sent him spiraling to the back of the pack and into retirement later on. That left Norris to fly the flag, which he did in style, picking his battles carefully and making several moves stick to come home a very impressive sixth. Grosjean’s race was over at the start - he sustained significant damage after a crash with Stroll into the first corner and retired a few of laps later, his second DNF of the season. Magnussen was running in the points before losing a handful of places after an error saw him run deep into Turn 10. He then tried an opportunistic one-stop strategy, which proved the wrong call. 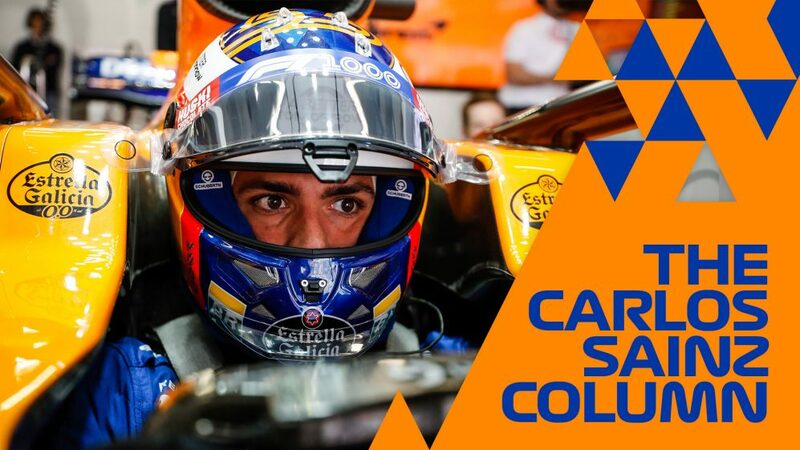 By the time he changed to a two-stop, the damage was done and he came home outside the points in a disappointing day for the American outfit. Giovinazzi collided with Kvyat when the Italian tried a bold move down the inside, ironically the sort of move the Russian used to be renowned for. He was fortunate to emerge unscathed, with the stewards declaring it a racing incident. Raikkonen kept his moves cleaner, using every ounce of experience to pick his way through the field and end a difficult weekend for the Alfa Romeo team with a credible seventh. Stroll collided with Grosjean at the start, and after limping round the whole circuit with a broken front wing, emerged from the pits well off the pace and was never going to recover. Perez, though, was another to profit from staying out of trouble. The Mexican stopped twice, benefitting from a perhaps fortuitous undercut first time around to jump up a few places and came home to grab the final point on offer. Kvyat was tipped into a spin by contact with Giovinazzi in the Alfa, costing him a few places. That, plus a five-second time penalty for speeding in the pit lane contributed to an underwhelming result for the Toro Rosso man. 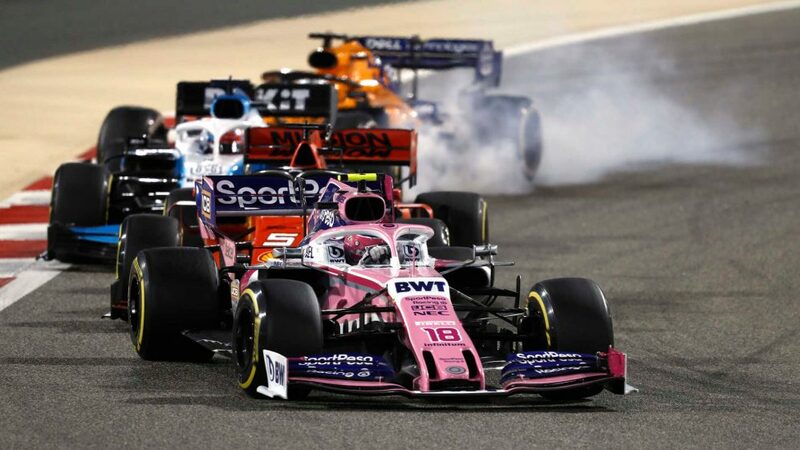 Fortunately for the team, Albon kept his head down and his nose clean to profit when others retired and come home for his first F1 points. "First of all congratulations to Alex Albon for having scored his first points in his only second race in Formula 1. He showed fantastic performance, especially in managing the tyres towards the end of the race. 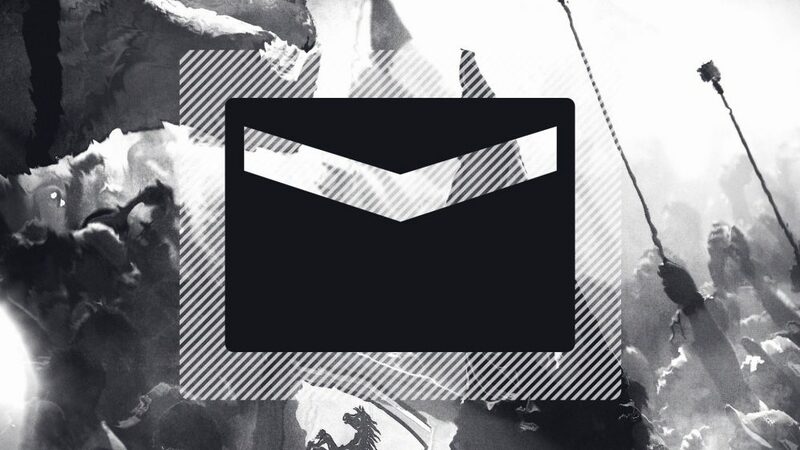 He did a really good job and he deserved his ninth position. 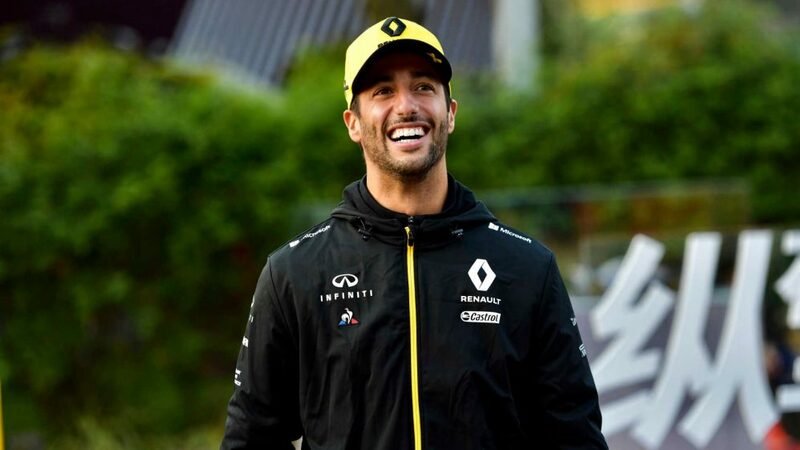 Daniil was involved in a couple of incidents, first with Giovinazzi – where he spun and lost a lot of time – then he was caught speeding in the pitlane, which meant he lost another five seconds. As a consequence, he couldn’t fight for points in the race. In general, during the weekend here in Bahrain, we were consistently hovering between P7 and P10 but, unfortunately, we didn’t get everything together in Qualifying because of a few mistakes. However, in the race we got our speed back, which means we need to remain positive as the package is good. Now we have a quick turnaround to get ready for the 1000th Grand Prix in China." Russell beat Kubica in the intra-team battle, with the Pole the only driver to start on the medium tyre in a bid to run a longer first stint. Despite keeping out of trouble at the start and the troubles and travails suffered by other drivers, they still wound up propping up the field in a lonely race for both drivers.